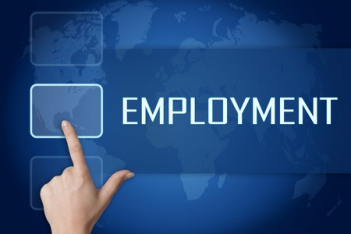 We provide Employment Law services for firms and individuals in the Peterborough area. We will assist you throughout your whole case with professionalism and efficiency. Employment law is constantly changing and it’s our job to keep up to date with these changes to ensure each of our clients receives the best support and advice. We have been practising Employment Law in and around Peterborough for many years and we have built up considerable understanding of the area and its industries. With Peterborough being home to approximately 200,000 people and a thriving area of employment, it is inevitable that occasional employment disputes will arise. We work with both Employers and Employees with their cases and can help with all your legal needs. Whatever your circumstances as an employer seeking support and advice on a contractual dispute, or as an employee needing help with a difficult issue at work, Jeremy Roberts is here to help. If an employer takes any action that is unfair, and it relates to any of these “protected characteristics”, this may give rise to a discrimination claim. Direct Discrimination - an employee is treated differently to other employees based on their possession of a ‘protected characteristic’, then an employer may be guilty of direct discrimination. Indirect Discrimination – if an employer treats an employee in the same way as they do their colleagues, but this treatment has a worse effect on a particular employee because of who they are. Harassment - an employer or other employees behave in an unwanted or unwelcome manner towards an employee, which violates their dignity or creates an intimidating, hostile, degrading, humiliating or offensive environment. This is only unlawful if it is because of, or related to, their race, age, sexual orientation, etc. Victimisation - where an employer or their other employees treat an employee badly because they complained about being a victim of discrimination in the. Maternity and Pregnancy Discrimination - an employer treats an employee unfairly owing to their pregnancy or having recently gave birth, causing them to be disadvantaged.